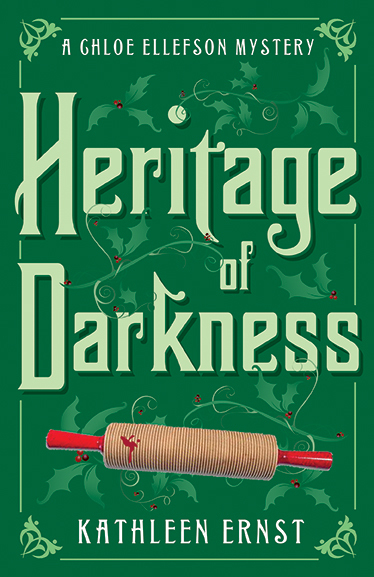 « Heritage of Darkness Launch Events! I have no intention of having Chloe leave her job at Old World Wisconsin. Roelke McKenna, suitor and local cop, will remain in the area as well. But I do plan to get Chloe out and about from time to time. She can travel to other sites for professional and personal reasons, finding mystery and mayhem and historical echoes wherever she goes. Variety will help keep the series fresh. It also gives me the chance to showcase other sites that I find particularly appealing. That happens in Chloe #4, Heritage of Darkness. 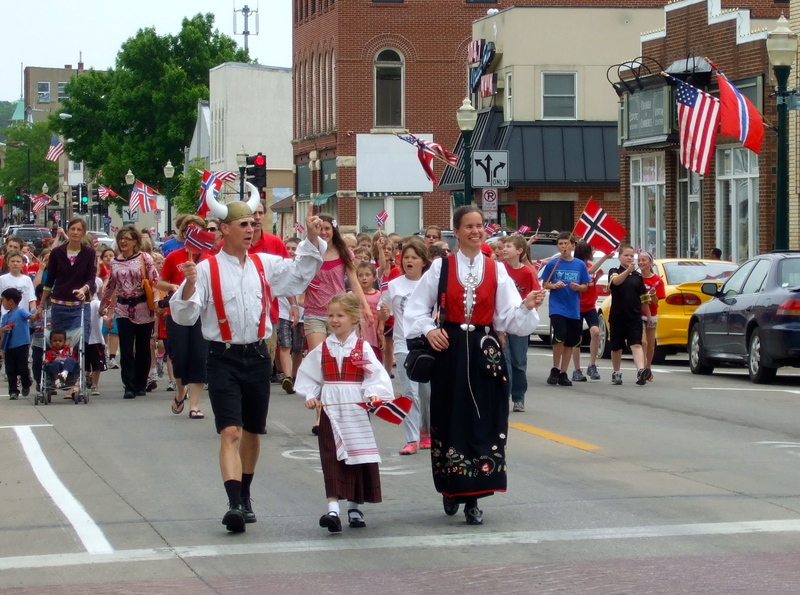 Chloe, Mom, and Roelke head to Vesterheim Norwegian-American Museum in Decorah, Iowa, for a week’s vacation. So. . . why Vesterheim? It’s a stellar museum. 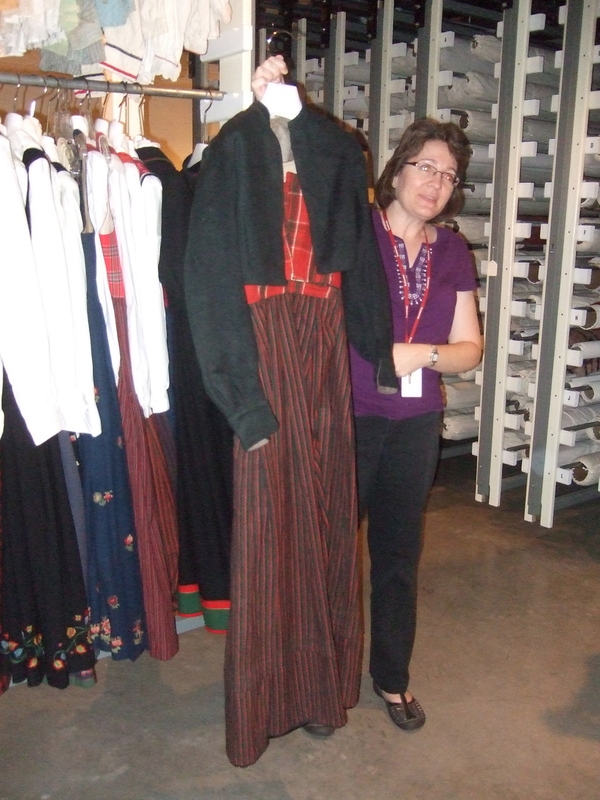 Vesterheim is the most comprehensive museum in the United States dedicated to a single immigrant group. The collection is phenomenal. 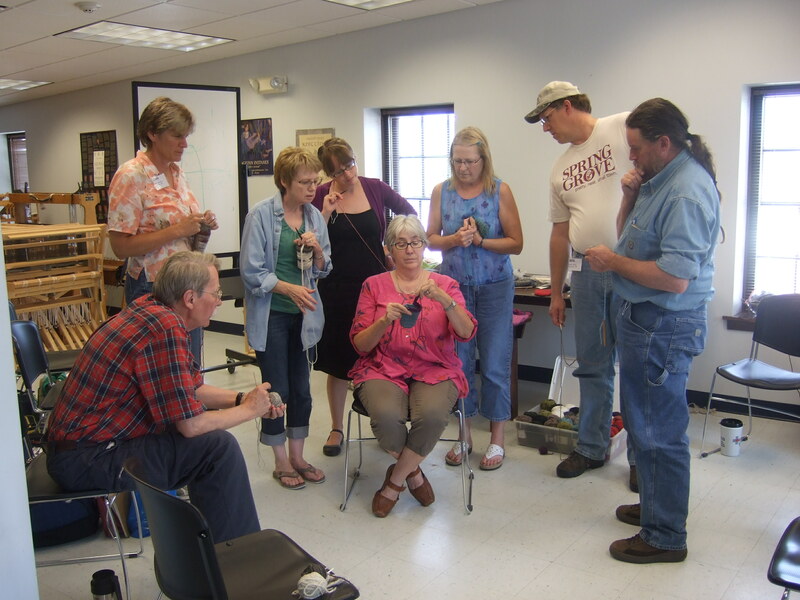 Local historians began collecting artifacts over a century ago. 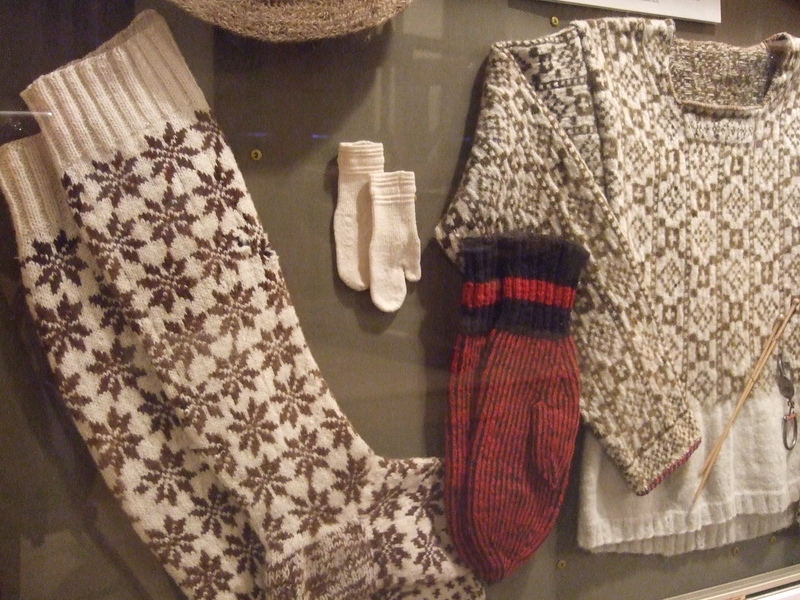 The Norwegian government—believing Norwegian-Americans should be able to learn about their heritage—also contributed original pieces to the museum. 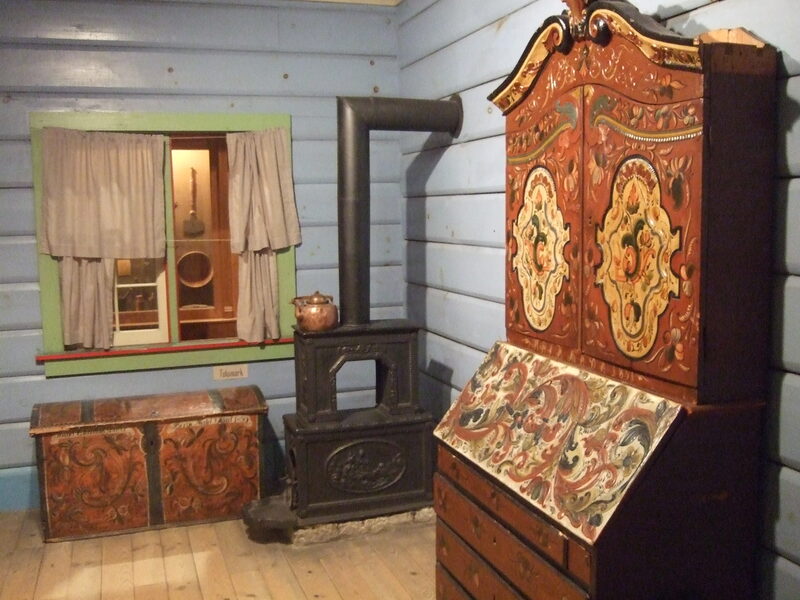 It is not, however, a museum only of interest to those with Scandinavian heritage. Vesterheim’s mission is to “explore the diversity of American immigration through the lens of Norwegian-American experience.” I can attest to that. 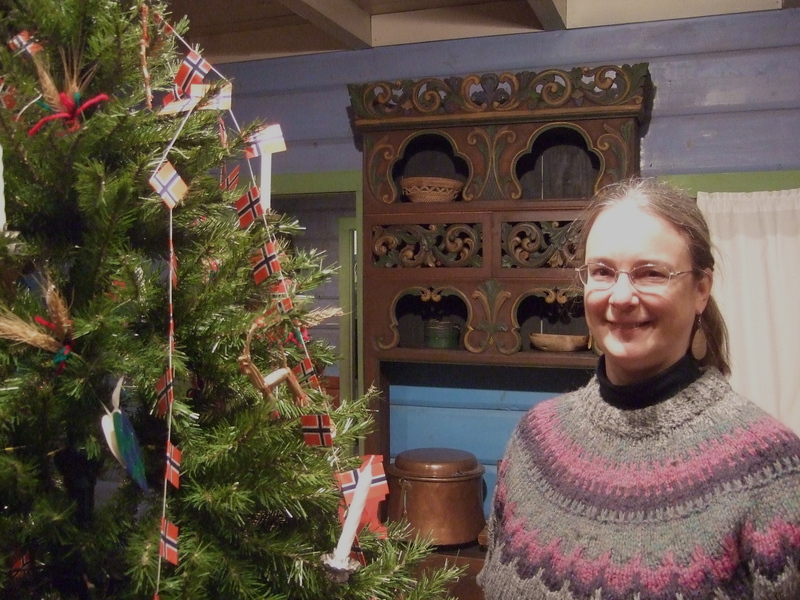 I have no Norwegian heritage, but I find that each visit helps me reflect upon what my own Swiss, Dutch, and Irish ancestors experienced. 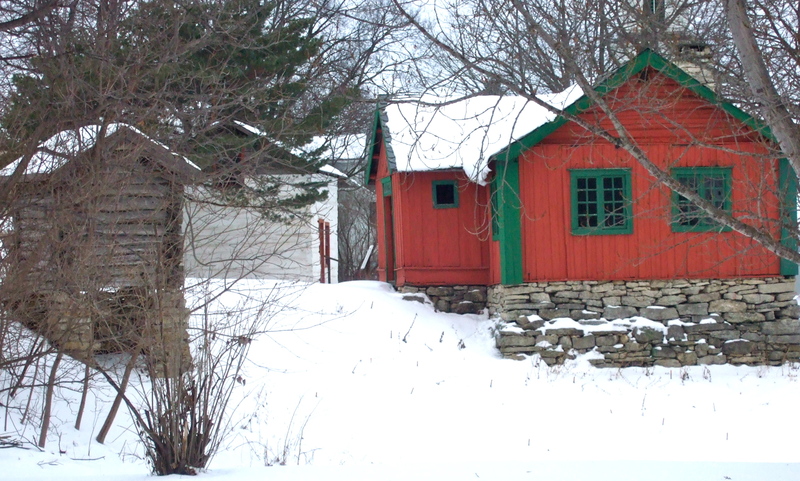 I had visited Vesterheim several times since moving to the Midwest in 1982, but returned with special purpose in 2005 while doing research for Old World Murder, the first Chloe mystery. 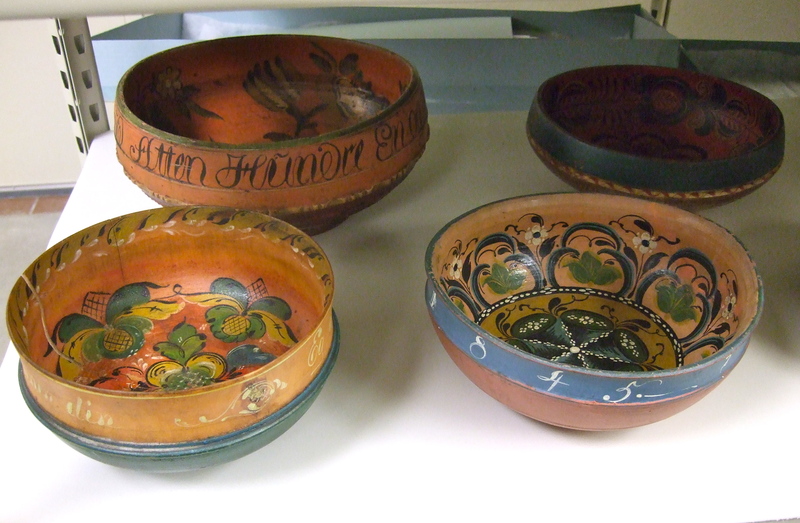 That mystery centers on a missing antique ale bowl, and I made arrangements to visit collections storage so I could study Vesterheim’s bowls. I thought I’d visit, say thanks, and that would be that. Instead, I’ve gotten more involved. My husband and I have returned to enjoy a variety of special events. 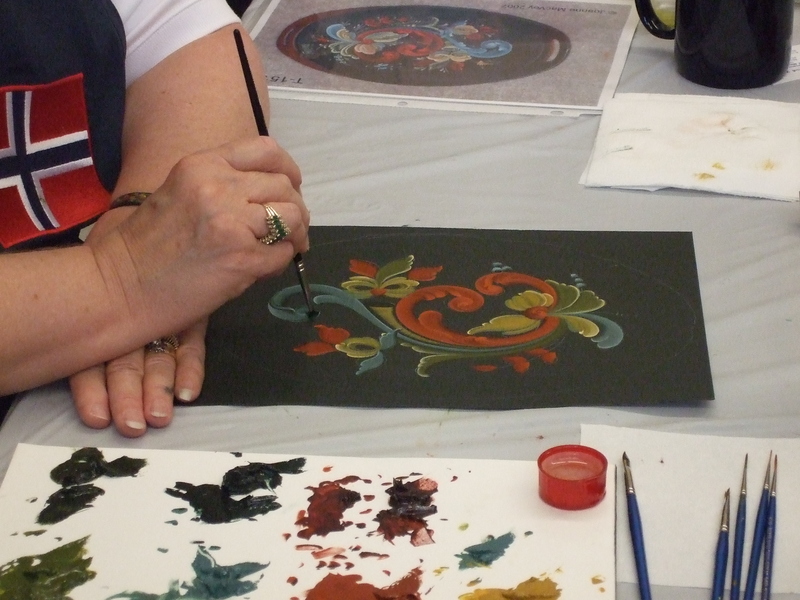 I’m a heritage arts junkie, and have enjoyed classes in painting, fiber arts, and foodways. 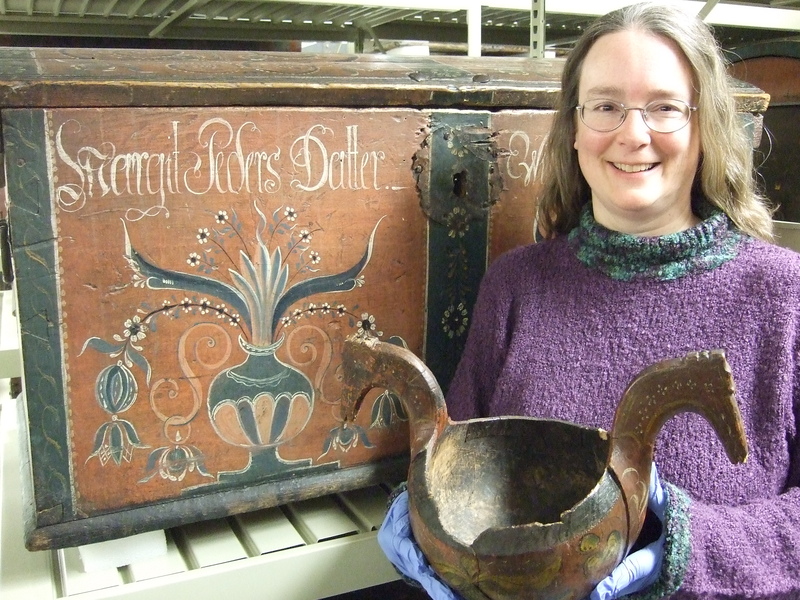 Vesterheim’s combination of top-notch instructors and behind-the-scenes access to artifacts for study is unparalleled. 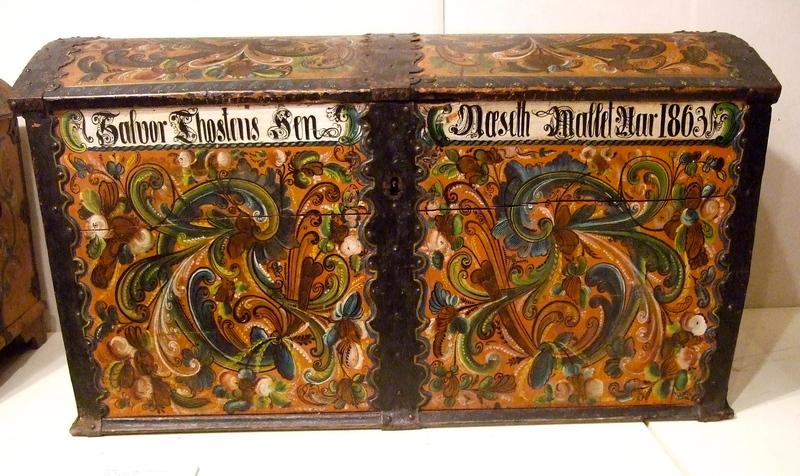 When I took my first rosemaling class, the Education Specialist spoke of “the Vesterheim Family.” It does exist. There’s a special sense of sharing and camaraderie that helps explain why so many people return to Vesterheim again and again. Writing a Chloe mystery involves several years of thinking, researching, and writing. I can only pick locations that I love—and that I believe readers will love too. 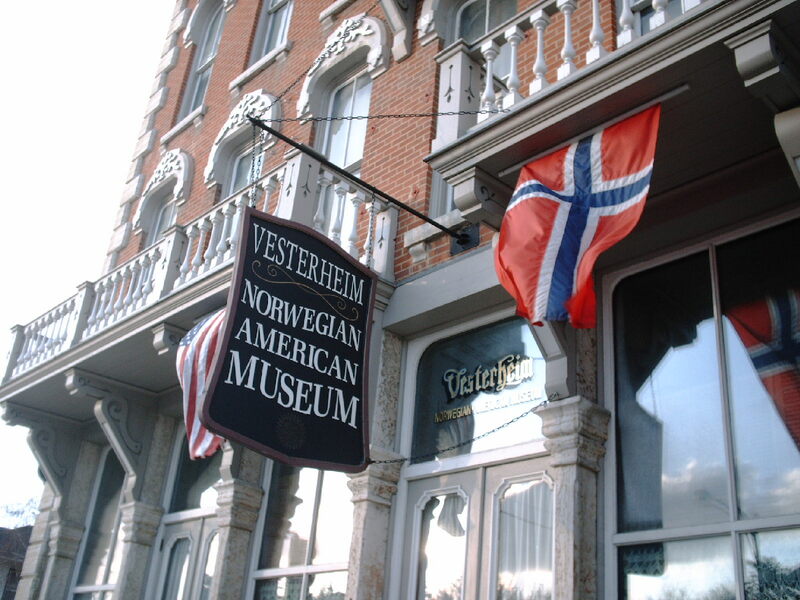 This entry was posted on September 13, 2013 at 10:05 am and is filed under Heritage of Darkness, Old World Wisconsin, Vesterheim Norwegian-American Museum. You can follow any responses to this entry through the RSS 2.0 feed. You can leave a response, or trackback from your own site. Sounds like another great place for Chloe to visit, and maybe for me, too. You’d love it, I’m sure! I am so excited you are using Vesterheim in my hometown for your new book. This will be my first exposure to your writing. Since I no longer live in the area I can’t wait to be brought back home through your writing. Your “Why Vesterheim” page is a gem. I love, love, love all your pics, here. Thanks! I hope they give a little taste to those who haven’t been to Vesterheim, and make those who have smile. I’m glad you and Dan have already visited – you’ll be able to picture the scenes as you read! Just as you are part of the Vesterheim family, Chloe will soon be too! And we are so happy to soon have yu here to talk about your newest book….. Thanks, Kate! I’m so looking forward to my trips to Decorah! Thanks for this post. I’m definitely putting this on my places to see list. Good – I bet you’ll enjoy the visit, whenever you’re able to make it happen! William, thanks so much for connecting! I hope you enjoy the new book too.